Nick Gornall and George Humphreys scoring some dreamy “Cloud 9” in the Philippines recently. Filmed by James Strickland. 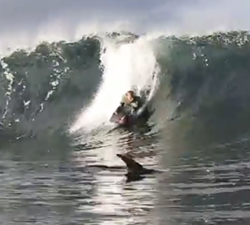 4 minutes of perfect Cloud 9 pits with Israeli bodyboarder Mor Cooper. Videography: Kiril Shchegolsky, Mor Cooper, Kyron Rathbone. A quick burst of action with Israeli bodyboarder Kiril Shchegolsky, shot during recent trips to The Philippines and Mexico. Action from the Philippines, Ireland, Australia, California and Mexico in Around The World In 40 Days. A short clip showcasing what Jaco Loubser got up to in 2015, with action from the Philippines and Indonesia. Limited Edition proudly presents Michael Jennings’ new clip, Joe Clarke – Philippines. Perfect 4ft Cloud 9. A trip to Siargao, Philippines from late 2015 with Eden Mugani. 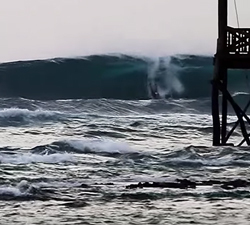 Footage: Jaco loubser, Ryan Schnell, Rad Cohen and more. A few perfect tropical pits with Joey Parkinson at Cloud 9 in the Philippines… Shot in September 2015.